Belgium kick-started their football journey on 1st May, 1904, against France at Goose Pond Stadium at their home ground, Uccle. The thrilling match was witnessed by 1,500 spectators and ended in a nail biting 3-3 draw. Interestingly, this was also the debut match of France. 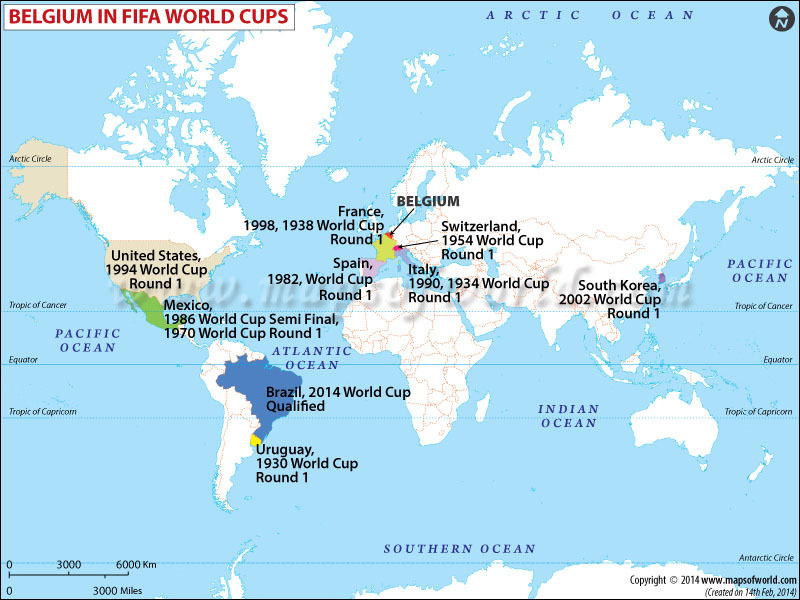 Belgium was among the seven member countries that laid the foundation of the FIFA World Cup. Popularly known as "The Red Devils" due to all their primary dress colours being red up until now, Belgium registered their first remarkable success when they defeated Czechoslovakia in the final of the prestigious 1920 Olympics on their home soil. It was a controversial match with the Czech national football team backing out in the middle of the match to mark their revolt. However, the organizing committee disqualified Czechoslovakia and honored Belgium with the Gold medal. Their home stadium is the King Baudouin Stadium located in the city of Brussels, which has a massive capacity to hold a crowd of 50,093. Established in 1895, the Royal Belgian Football Association is the oldest football organization and governs the national football team of Belgium. Despite being among the seven countries that put in efforts for FIFA's establishment, Belgium has never won any soccer World Cup. However, their gentlemen’s play rewarded them with the tournament’s fair play award in the jointly held 2002 World Cup in South Korea and Japan. Another moment of success was when Belgium finished second in the 1980 UEFA Eurocup. From the 1982 FIFA World Cup, the red devils qualified for every single World Cup until 2002. Their longest run has been in the 1986 Mexico World Cup where they reached the semi finals. Belgium is among the most unexpected team in the World tournament with records of winning against toughest opponents and losing against minnows. The good news is that the Belgium has qualified for the 2014 FIFA World Cup after being out of two consecutive World Cups in 2006 and 2010.